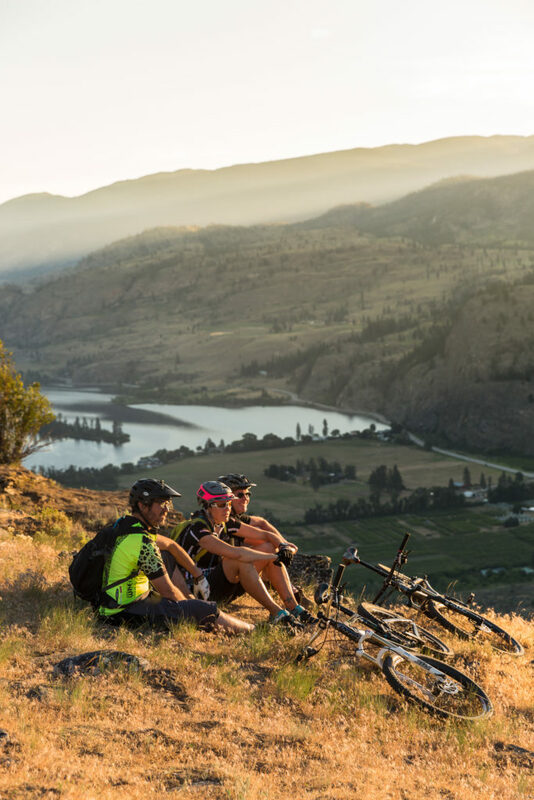 Osoyoos is nestled within grasslands, highlands and mountains, and hosts the warmest lake in Canada – ensuring that you can experience and enjoy Osoyoos year-round. Each season has something beautiful to offer – experience it yourself and see why Osoyoos is the place to be! Click here to download the Official 2019 Osoyoos Visitors Guide! The spring is a fantastic time to catch some warm, sunny weather before the summer rush hits. If you’re looking for a quiet, romantic getaway, spring is the time for you. Tour the wine country in peace and take the time to relax amid the beautiful vineyard views. Take a leisurely stroll on our many beautiful lakeshore walkways. Hike or bike in true solitude on our widespread system of trails. Tee off at one of our picturesque golf courses. 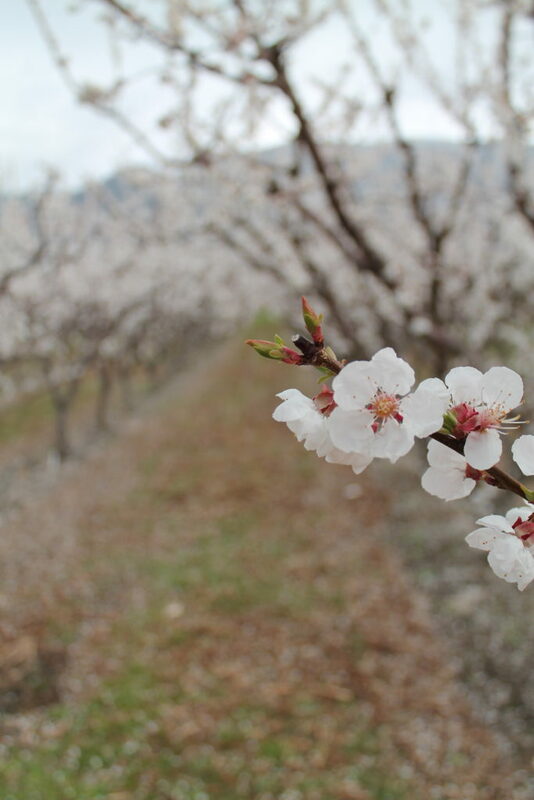 The rows on rows of orchard blossoms are truly a sight to see. Here are some ideas for an awesome day: A bird and wildlife watching adventure. A peaceful tour of the 28 wineries of the area. A stroll downtown, visiting the museum, Osoyoos Arts Centre and unique shops. A drive to the jawdropping lookout at Anarchist Mountain, with a forever view of Osoyoos and surroundings. There is nothing like summer in Osoyoos. The hot, sunny days, sandy beaches and the warm waters of Osoyoos Lake make for a perfect summer vacation. Enjoy the endless water activities. Swimming, floating, or sun bathing on the shores of Osoyoos Lake. Kayaking, canoeing, or the new trend of stand up paddling. Spend the day out on the boat and try your hand at wakeboarding, tubing or waterskiing. Generations of families come back year after year to experience summer in Osoyoos. The fresh fruit and vegetables are bountiful in the summer. Cherries, apricots, peaches, nectarines, plums, prunes…once you try our fresh fruit, you won’t want anything else! We have over 40 wineries in and around the Osoyoos and Oliver area. Take a day to sample the wines of the region and take in the beautiful views of vineyards and valley. It is HOT in the summer – plan your activities accordingly. Strenuous activities are best done in the mornings or evenings when it is cooler. Extended summers and beautiful autumns. In Osoyoos, we are lucky enough to have extended summers. When the summer comes to an end for the rest of Canada and the autumn begins, we are still experiencing warm, sunny days for at least another month. The busy days of July and August are gone and the atmosphere is quieter and peaceful. It’s warm enough for all the water activities like boating, kayaking, stand up paddling and it’s the perfect weather for outdoor activities like golf, tennis, hiking and biking.Many visitors choose to wait until September (or come in June) to avoid the summer crowds, enjoy the beautiful weather and just relax. Autumn is harvest time. Crisp apples, juicy pears, Italian prunes, fresh crisp salad greens and mounds of brightly colored squash are just a few of the things you can find here in the Autumn. Stop by one of our many fruit stands to pick up some local, fresh produce or a homemade fruit pie.Take a day (or two!) to tour the many wineries in our area, sample the wines and take in the beautiful views of vineyards and valley as the colors are changing. The autumn is also ideal for fishing, birdwatching and gazing at the starry skies on our clear, fall nights. It’s no wonder why Osoyoos has become the place to winter in Canada. When Canadians are looking for an escape from cold, snowy winters, they will not find a more pleasant winter climate in Canada. Osoyoos has a mild, dry winter climate, with pleasing temperatures from October through April and a low average annual snowfall of only 5.4 cm (2.1 inches). Plus, with Baldy Mountain Resort only 30 minutes away, you can still get your snow fix! 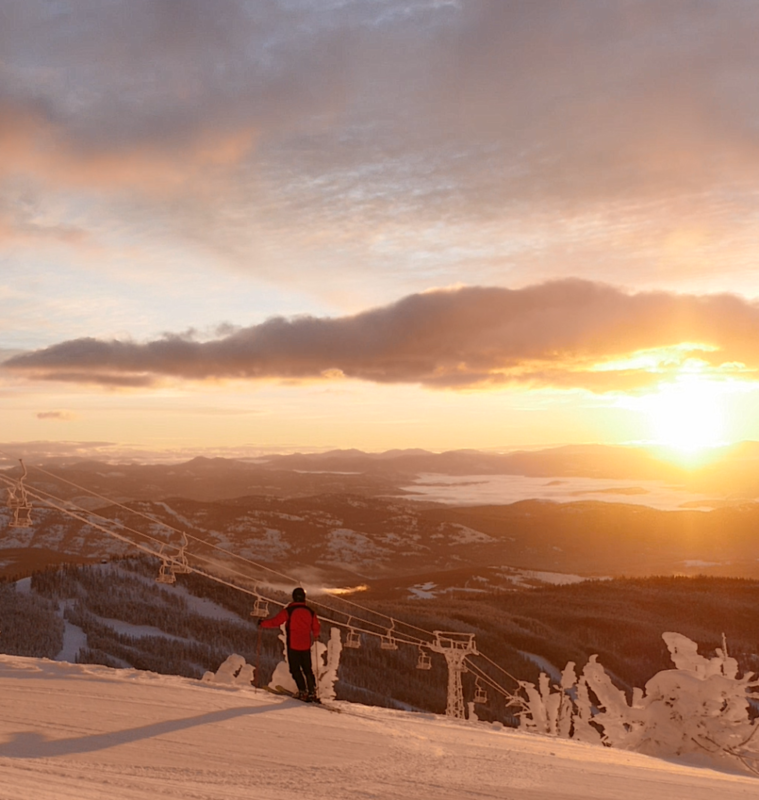 Powder rests seasonally upon Baldy Resort, which ranks in the top ten of highest elevation ski resorts in Canada. Ski or snowboard, take a ride through the perfectly spaced glades or on our groomed runs, a walk through the woods on snowshoes, ski our cross-country trails, or toboggan with the kids.